The 2019 Kids Fun Run takes place on Sunday, 8 December at 10:30am. This event is sponsored by Milo and the Cayman Islands Government's Ministry of Education, Youth, Sports, Agriculture & Lands, and is open to all kids ages 5 to 11 years old. REGISTRATION IS FREE! Don't want to register online? 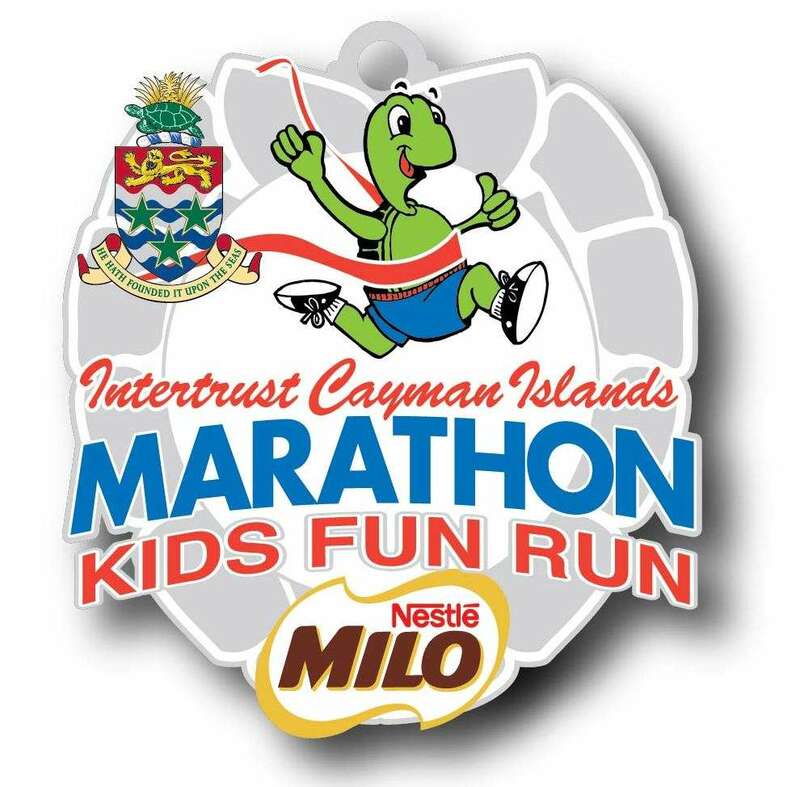 Download a registration form here and email to info@caymanislandsmarathon.com. Introduced in 2012 the Kids Marathon log allows kids participating in the Kids Fun Run to to keep a record of their activity leading up to the Kids Fun Run. The goal is to have completed a full marathon (26.2 miles) at the end of the Kids Fun Run in December. The first 25.5 miles of the marathon can be achieved through running, walking, swimming and hiking, and kids can have their parents or another adult sign their log verifying that they have completed each mile. After completing the 0.7 mile Kids Fun Run and crossing the finish line on 8 December, successful participants can boast that they have officially completed a marathon. In addition, they can enter their logs in a draw for a prize courtesy of Kids Fun Run sponsor Milo. Click here to download the kids marathon log. Download Kids Fun Run Entry Form HERE. Download Kids Runner's Log HERE. Registration for students in the Cayman Islands is FREE, and students can register through their schools or online. Forms can also be downloaded here. Non-Cayman students can register online for US$12.50. In addition you can register on Saturday, 7 December at the Westin Grand Cayman between 9am and 3pm IF SPACE IS STILL AVAILABLE. Registration includes a t-shirt, runner bib and a medal at the finish line. See medal below. 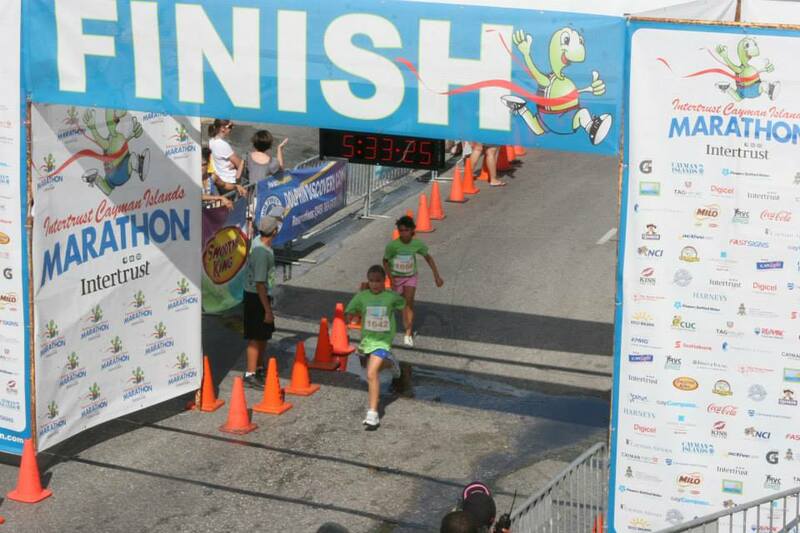 All kids must pick up their race packages on SATURDAY, 7 December at the Westin Grand Cayman between 9am and 3pm. Race packages include an event t-shirt and the bib that the runner will wear during the race. If the race package is not picked up at the Westin, there is no guarantee that the runner will get a t-shirt on race day. The Kids Fun Run starts at the NEW Government Administration Building on Elgin Avenue and ends on Harbour Drive. It is approximately half a mile. Participants will run from the Government Administration Building up Edward Street toward the Town Clock, turn left onto Fort Street, and then left onto Harbour Drive finishing near Cardinal Avenue. This is where the adults completing the Marathon, Half-Marathon and Team Relays also end their races. Kids should be at the start line NO LATER THAN 10:00AM in order to have an on-time start. Please note that each child MUST have a bib in order to run. Laura Ribbins from Fitness Connection will be doing a fun WARM UP SESSION with the kids before they start their Fun Run so make sure your kids are there for all the excitement! Parents can park in the Govt. Admin. Bldg. 's parking lot, or anywhere along Elgin Avenue that is NOT on the race route. Parents can collect their children at the NEW finish line for kids which is located in front of the National Museum.